Travel and tourism is a social right which concerns every human being . However, it is estimated that over 500 million disabled people in the world do not take holidays. For those with some form of disability, many of the existing tourism offers are not easily accessible. Muleni Safaris Uganda is delighted to offer our clients with special needs a range of specialist safaris to east Africa Especially Uganda. We have teamed up with Uganda Wildlife Authority, Ministry of Tourism and Uganda Tourism Board to offer accessible safari Adventure for people with disabilities. These safaris maintain Extra attention and provide an opportunity for Tours which might otherwise seem unattainable. We offer a variety of scheduled departures and private tailor-made departures - from an individual to groups and families. Destinations include Bwindi Impenetrable Forest National Park for Gorilla Tracking, Queen Elizabeth National Park for Tree Climbing Lions, Kibaale Forest National Park for Chimpanzee Tracking and Many More. Whether you use a cane, crutches, have a slight limp, use a manual wheel-chair or permanently use an electric chair, we can show you various destinations within Uganda that you might not have thought possible. Gorilla trekking in Uganda and Rwanda is for everyone except the sick and children below the age of 15. Age and disability should not be an excuse for you to miss out on gorilla trekking simply because you think you cannot trek up to where the gorillas will be. Gorilla trekking sedan chairs are available and have helped many to see gorillas in Bwindi Impenetrable national Park and Volcanoes National Park in Uganda and Rwanda respectively. 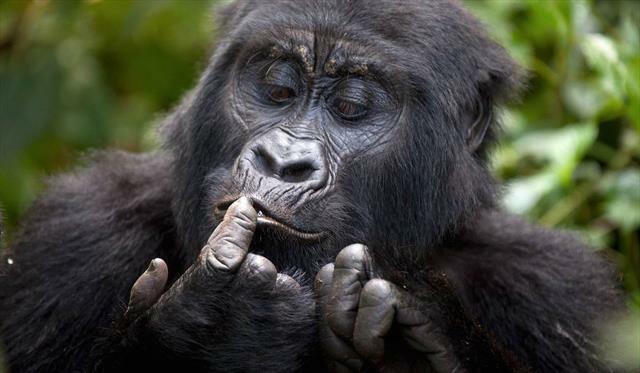 Muleni Safaris Uganda does not only organize gorilla tours for the young and energetic but also for the old and disabled people whose dream is to meet the giant mountain gorillas when in East Africa. Gorilla trekking sedan chairs are paid for separately and will depend on the distance covered to find the gorillas and then back plus the weight of the client in question. The cost may range between USD350-500. This involves the cost of the people (Porters) who will carry you to and from the gorillas to make sure that you achieve your dream of getting face to face with the rare and endangered mountain gorillas. There several gorilla trekking sedan chairs in all regions of Bwindi Impenetrable National Park (Buhoma, Ruhija, Nkuringo and Rushaga) but they require advance booking. For those in need of gorilla trekking sedan chairs, please contact Muleni Safaris Uganda at the time of booking so that we acquire it for you. Once we get your request, we will check availability for the dates of your gorilla trekking and then advise you on how much it will cost you to hire a gorilla trekking sedan chair and porters to carry you to and from the gorillas. In a situation where we fail to get a sedan chair, we will advise you to take a locally made sedan chair which does the same job at a lower cost. Uganda has been a very good case study of providing very good grounds that enable Old and disabled people go gorilla trekking. We have had tourists aged 90 years and above come here and successfully see gorillas. As Knowledgeable planners in the field of Tourism, we cordinate accessibility to customized transportation means for persons with disability. We interract with service providers or Partners like Uganda wildlife Authority, the Uganda Safari Company, and other providers in East African Tourism Frantanity to make all possibilities for a successful and memorable adventure within the various National Parks. We also ensure a selection of hotels and lodges with accessible facilities to the disabled and with attractions that can be explored with minimal stress. Detailed local knowledge, meticulous planning and a great team on the ground with proper communication skills, are the essential ingredients to ensuring a truly outstanding trip. As specialists, let us take away the logistical pressures and allow you to relax and have a holiday of a lifetime. We will also offer honest feedback on destinations we believe would be unsuitable for persons with Disability. Every traveller has different requirements and our tailor-made approach to each enquiry means we can create a truly unforgettable experience for you.